In 2015, Google created and launched its very own Wi-Fi router – OnHub, and now promotes its router to Internet service providers. The Wi-Fi now event, that took place this April in Washington D.C., brought together Wi-Fi industry players from all over the world, to discuss business-critical Wi-Fi issues. Companies like Google are currently investing on minimizing wireless interference and upgrading system configuration in order to improve Wi-Fi user experience. 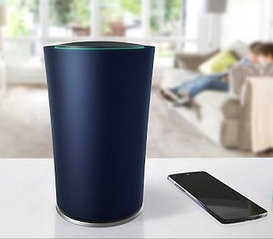 At the forum, Todd Wuellner, Google’s Product Manager, stated that as a huge percentage of Google’s Internet traffic travels over Wi-Fi, the company is interested in enhancing the user experience by advancing Wi-Fi performance by introducing the Google OnHub routers. If these routers are introduced to the majority of the home networks, it could grant the company great control of the Wi-Fi user experience and user data, as routers have recently started integrating advanced features such as voice control. While at the forum, Wuellner disclosed that Google aims to enter the business of professional networking and sell OnHub to service providers. According to a consulting director at SNL Financial, Jeff Heynen, stated that part of Google’s long-term objective has always been to embed itself with service providers. Some service providers fear that this might compromise their market share in the professional networking business, as Google OnHub is growing successfully in the consumer market and is now planning on expanding to the SMBs market. Yet, as the product was conceived for the consumer business, the company has many challenges to overcome to make it fully compliant with the wireless professionals’ needs. Some service providers, instead, realize the potential of advanced routers in the home network and see Google as a compelling alternative amongst the existing vendors. For now, Google continues to pursue the retail market, while aiming to compete to get a spot in the home gateway market.